Abandoning Israel will not soothe the hearts of the Palestinian people or make the Christians less vulnerable -- as we are now seeing from the throat-slittings and mass displacements throughout the Middle East, done not by Jews but by Muslim fanatics. Christians make up only some 1.5% of the Palestinian population. They live in an overwhelmingly Muslim atmosphere and are, given the threats they face from Muslim extremists, naturally loath to express a Christian narrative that differs from the dominant Palestinian narrative, which openly rejects many fundamental Christian beliefs. It is commonplace for Palestinians to express denials of history. Thus, it is repeated that there were never any Jews in the Holy Land before the 19th century and that the first and second Jewish Temples never stood in Jerusalem. Not only do these claims fly in the face of over a century of archaeological work and the records of Greek, Roman and other historians in antiquity, they flatly contradict and annul the texts of both the Old and New Testaments. Jesus, it would seem, was not a Jewish teacher but a Palestinian Arab who never set foot in Herod's Temple because it did not exist, and there were never any Jews in the Holy Land. Mitri Raheb, pastor of the Evangelical Lutheran Christmas Church in Bethlehem, has actually argued that there is no DNA connection between Jews (ancient or modern) and Jesus, but that he himself, as a Palestinian, has such a link. By associating themselves closely with this Palestinian historical fabrication and never asserting the Biblical record (as to do so might be regarded as supportive of the Jewish right to a homeland), many Palestinian Christians are in danger of supporting by omission the Qur'anic claims that the Torah and Gospels have been falsified by rabbis and priests. By denying that Israel is the homeland of the Jewish people and claiming that Jews have no right to return there after two millennia, Muslims give no space at all to the history of the Christians with regard to the Jews, and their more modern relationship. Christian churches have inflicted lasting harm on Jews through pogroms, inquisitions, and ghettoization. Many Christians came to the rescue of Jews during the dark days of the Holocaust. Others stood by in silence. The creation of Israel in 1948 and the return of Jews, including Holocaust survivors, to the Holy Land was, in some degree, reparation for centuries of persecution and contumely. But today, the President of the Palestinian Authority, Mahmoud Abbas (now in the eleventh year of a four-year term) repeatedly and openly declares that not a single Israeli will be allowed to live in a future State of Palestine. It must be assumed that by Israelis he means Jews, as Arab-Israelis would be considered Palestinians by default. Recently, at the UN Human Rights Council in Geneva, Abbas rejected Israel's right to exist in any borders: "For how long will this protracted Israeli occupation of our land last? After 67 years, how long?" In other words, the "occupation," according to him, really began 67 years prior, in 1948, when the State of Israel declared its independence within the terms of UN Resolution 181. Many Palestinians and their supporters, including Christian supporters, have also for decades been declaring: "Palestine will be free from the river [Jordan] to the [Mediterranean] sea," signaling that a future Palestine will ideally be free of any Jewish inhabitants. Last September, during the World Week for Peace in Palestine Israel -- an initiative of the Palestine Israel Ecumenical Forum (PIEF) of the World Council of Churches, St Thomas The Martyr Church in Newcastle upon Tyne, UK, hosted an event titled "Walls Will Fall". The event featured deeply one-sided presentations and literature, denying Jewish rights in Israel. By their own rejection of Jewish rights in Israel, Christians not only unwittingly repudiate their own rights and history, they also defy all the love and striving for forgiveness that has characterized the endeavor of bringing justice to the Jews in recompense for the suffering kings and churches had caused them. Many Christians claim that they work for peace and justice in the Holy Land. The truth is that those taking part in events such as "Walls Will Fall" do not. They present a viciously biased condemnation against only one side, Israel, and its main inhabitants, the Jews, while refusing to mention unremitting Arab, Muslim and Palestinian violence from the 1920s on. There is no mention of the five Arab armies that attacked the tiny Jewish state on the day of Israel's birth in 1948, while openly boasting of an imminent genocide of all the Jews. There is no mention of the Arab coalition of Egypt, Syria, Jordan and Iraq that mustered to attack Israel in 1967, again boasting of an imminent slaughter of all the Jews. There is never any mention of the 1973 invasion of Israel by Egypt and Syria, supported by nine Arab states and Cuba, and preceded by threats by Egypt's President Anwar Sadat, who said he was willing to sacrifice a million soldiers to destroy Israel. No mention of thousands of terrorist attacks. No mention of the Arab policy of "no peace with Israel, no recognition of Israel, no negotiations with it." Not a single mention of Hamas and its 1988 Charter, in which it is stated "there is no solution to the Palestinian question except through jihad," and which declares peace talks, international efforts for peace, and any compromise as "a waste of time," and that calls for the slaughter of all Jews in the world. On October 1, 2015, Palestinian gunmen shot and killed a young Jewish couple, Rabbi Eitam Henkin and his wife Naama, who were driving home through the West Bank with their four children. Mahmoud Al-Aloul, a member of the Fatah Central Committee (an institution that is part of the Palestinian Authority) posted on its official Facebook Page that Fatah was responsible for the shootings: "The Al-Aqsa Martyrs' Brigades, the military wing of the Palestinian National Liberation Movement Fatah, accepted responsibility for the Itamar operation [murder of Eitam and Naama Henkin], carried out against settlers, leading to their deaths." Leading members of Palestinian Authority President Mahmoud Abbas's Fatah party, 'Azzam al-Ahmad and General Sultan Abu'l-Einen, praised the attack. General Al-Einen, who serves as Abbas's adviser on NGOs, called for more attacks on Israelis. There were celebrations across the West Bank. The festivities included the launching of fireworks and the waving of flags in the streets. Such celebrations take place every time Jews are killed in the area. Two days later, on October 3, a Palestinian man stabbed to death two Jewish rabbis and injured the wife and two-year-old child of one of the rabbis. The widow reported from hospital that she attempted to escape from the terrorist after the stabbing began. "I ran for dozens of meters with a knife in my shoulder, bleeding. Arabs in the area who saw this horrible scene clapped and laughed, and told that they hoped for my quick death.... I felt I was about to faint," she said. "I tried to hold on to someone who passed by, and they just... shook me off and kicked me, and said 'die.'" Since then, deadly attacks have become a daily feature of Israeli life. Knives are the weapon of choice. It is, on a small scale as yet, a third intifada, known now as the Knife Intifada. Even children are going out with knives, in order to kill. The Israeli government, as any government, has no choice but to protect its citizens, as it has had to so many times in the past. This response may mean tightening security and more restrictive actions. More checkpoints may have to go up. The security fence may have to be strengthened. Palestinians will suffer. Those who work in Israel may lose their jobs or experience greater inconvenience. Yet Kairos and other Christian organizations apparently express approval when they exonerate the Palestinians of all blame and focus their wrath on Israel and the Jews alone. Israeli Jews do not go out onto their streets to celebrate the deaths of even the most vicious murderers -- terrorists who have killed twenty, thirty or more people in an attack. No one sent up fireworks or handed out sweets when Adolf Eichmann, an architect of the Holocaust, was hanged in 1962 -- the only person ever executed in Israeli history -- in the Israeli city of Ramla. People may be pleased when they hear of the death of a terrorist, just as we are: innocent lives may have been saved. St Thomas Church chose to say nothing about such Palestinian killings, or else preferred to blame them on the so-called "occupation" or Israel's clearly needed security measures. Palestinian authorities name schools, sports grounds and teams, parks and streets after mass murderers, and put their faces on large posters to decorate walls and schoolrooms, acclaiming them as role models. They teach their children in schools and summer camps to admire terrorists as heroes and heroines, and to aspire to become killers and martyrs themselves. There is nothing remotely like this in Israeli schools or youth clubs. Instead, the walls of Jerusalem's Holocaust research institute, Yad Vashem, are covered with the photographic images of individual Jews and entire Jewish families shot and gassed and starved to death in the death camps or by the einsatzgruppen squads. And there is also a garden filled with names next to flowers to commemorate the righteous Christians who risked their lives to save Jews. Yet Christians in St Thomas Church did not once criticize or deplore the Palestinian glorification of violence, this delight at the murders of children, this dancing in the streets when innocent throats are cut (as in the massacre of the Fogel family in 2011), this elevation of killers to the ranks of saints. Instead, they cast bitter criticisms of the slightest Israeli misdemeanour, and censure Israel even when it behaves in entirely legal and moral ways -- the same way they would expect of their own government if their people were being targeted by rockets, run over or stabbed. In Gaza and the West Bank, Palestinian religious and political leaders preach their longing for the extermination of a democratic and tolerant state, and prophesy the coming genocide of men and women and children whose parents and grandparents and great-grandparents perished in the concentration and death camps of Nazi-controlled Europe. The Israeli government and people have for over 67 years prayed and called for a peaceful two-state solution and for co-existence with their neighbors. The Jews have never agitated for the elimination of a Palestinian state or the killing of its citizens. Yet Christians in St Thomas Church chose to say not a word about Palestinian, Arab, and wider Islamic incitement. They chose instead to describe Israel as an imperialist, colonial, and apartheid state – in flagrant contradiction to historical facts and Israel's record in repeatedly pulling out of territory -- the Sinai, Lebanon, and Gaza -- in a concrete and irreversible search for peace. Apartheid exists nowhere in Israeli law or daily life, and claims of its existence ignore the growing status of Israeli Arabs, who serve as full members of Israel's parliament, as judges (including on the Supreme Court), as professors in the universities, diplomats, as hospital administrators and chief physicians, in the media and entertainment, in the police, the army, the air force and elsewhere, with exactly the same rights as Jews. This deliberately twisted view of Israel is wrong; it is morally wrong and it is ethically wrong. It is bearing false witness against thy neighbour: It is a sin. It is wrong from the perspective of Christian ethics, wrong in the context of peacemaking and justice, an affront to honesty. It is not simple one-sidedness; it is gross moral blindness. Hatred for Israel and the Jewish people -- who have only one country in the world in which to take refuge in a time of need -- will not bring peace. Abandoning Israel will not soothe the hearts of the Palestinian people or make the Christians less vulnerable -- as we are now seeing from the throat-slittings and mass displacements throughout the Middle East, done not by Jews but by Muslim fanatics. Obstruction of Israeli security measures will not bring safety. Support of Palestinian rejection of the peace process and refusal to compromise will not bring security to either side. On September 30 this year, Palestinian President Mahmoud Abbas declared before the General Assembly of the United Nations that he has abandoned the Oslo Accords, the basis on which the peace process takes place. Describing terrorists as freedom fighters will not bring justice to their victims, or to their families, or to the four little children who saw their parents gunned down and buried. What one could read and hear during Walls Will Fall was a wholesale denial that Israel had any genuine security risks, a totally ahistorical claim that terror attacks must be blamed on a spurious "occupation", and a fatuous assertion that the "occupation" and Jewish settlements are illegal in international law, which they are not. There is no question that the Palestinians in Gaza and the West Bank suffer greatly and that it is a Christian duty to care for them and work to alleviate their suffering. It is also the case that many actions, legal rulings, and displays of force by Israel and the Israel Defense Forces have been wrong-headed and harmful to Palestinians. These are all things that are open to discussion and that must be part of any Christian work for peace and justice in the Holy Land. But it must be self-evident that to take the side of one party, while expressing hostility for the other, is not the way to a resolution of the problem and sadly exposes to question much about the decency and integrity of the people crying hatred aloud. Christians who claim that Israel is an "apartheid state", for example -- a charge made in some of the literature displayed on the stalls in St Thomas Church -- have adopted a singular falsehood and taken it as fact, even while seeing for themselves the reality that not a single apartheid law or practice exists in the country. Not only that, but, disquietingly, there is never a murmur about the truly apartheid policies of Saudi Arabia, where even the display of a Bible is illegal, where non-Muslim laborers can be beaten and treated as sub-human, and where non-Muslims are not even allowed to enter the city Mecca, and may enter Medina only as a visitor. This argument has been recently advanced by a South African MP Kenneth Meshoe, president of the Christian Democrat Party, who has argued against the claims of the BDS [boycott, divestment and sanctions] movement. "There are many Christians that support Israel, but they don't come out," he has said. "Those who know what real apartheid is, as I know, know that there is nothing in Israel that looks like apartheid. ... The view that Israel is an apartheid state, is an empty political statement that does not hold truth. You see people of different colors, backgrounds, and religions [coexisting in Israel]. The BDS movement is a real pain... to us in South Africa who love the truth. [The] BDS movement is not a democratic movement; they are a movement of intimidation, a movement that performs hatred. People who don't believe in hatred should not allow the BDS movement to stop them from doing the right thing." Yet the economic, academic, and cultural squeeze of boycotts, divestment and sanctions was praised and recommended strongly throughout the Kairos workshop at St Thomas Church. No alternative approach was suggested, no questions were asked, no explanation of the real dangers of the BDS movement to cultural, academic, scientific, medical, or commercial life was even hinted at. Although the work of BDS -- ostensibly to drive out Israeli settlements from the West Bank, but actually to try to destroy Israel by crushing it economically -- is hailed as support for the Palestinians. It has, in fact, severely harmed them. When the Israeli company SodaStream moved out of its West Bank factory last year, some 500 Arab workers lost their jobs. They also lost salaries of four to five times the standard rate for the area. Those who were able to find jobs in the new factory in the south of Israel have to travel for hours each day. Now, SodaStream has offered jobs to 1,000 Syrian refugees. This is the true impact of BDS on Palestinians who used to work side by side with their Jewish colleagues under identical conditions. BDS creates apartheid where there was none. Is that something Christians should support? Perhaps this may be best illustrated by a local example. Retinal detachment and macular degeneration are two serious medical conditions that lead to complete blindness. They are often incurable. Researchers at Newcastle University's medical school (one of the UK's leading medical research centers) are working on a film that may replace retinas and restore a large measure of sight to the blind. They are working alongside teams from Tel Aviv University and the Hebrew University of Jerusalem, combining semiconductor nanorods and carbon nanotubes to create a wireless, light-sensitive, flexible film that could potentially act in the place of a damaged retina. But BDS activists will insist that Newcastle University should break off this relationship with two Israel universities, in accordance with the principles of their academic boycott. When a Kairos leader spoke at St Thomas church, she spent a lot of time on support for the BDS movement. It must be asked whether a Christian should endorse, let us say, a boycott of a research enterprise that promises so much to blind people. And it is essential to add that Israel is a world leader, next only to the United States, in science, technology and medicine. Its drugs and medical devices have saved lives and improved life for the sick and disabled. Is it the Christian thing to demand that hospitals and doctors across the globe should refuse to use Israeli medicines or surgical devices or advanced medical equipment? Israel is a world leader in the management of water resources and has taken the lead in many Third World countries, especially in Africa, to end drought. Should Christians call on those countries to boycott Israeli water treatment and agricultural advances? Israel is always among the first countries to respond by sending aid teams, field hospitals, equipment and supplies to foreign countries in times of disaster. Would Christians who work with bodies like Christian Aid call on countries damaged by natural and man-made calamities to ban Israeli aid teams? 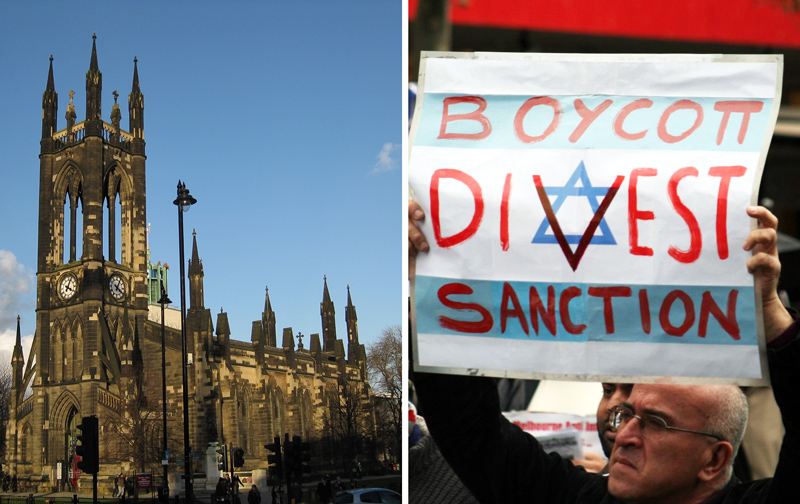 Surely BDS is, in all respects, an un-Christian policy that plays into a bigoted and inhumane narrative. It is clear that much of the pro-Palestinian work carried out within Christian churches is inspired by aspects of Liberation Theology. Undoubtedly, the concern of liberation theologians and others with the poor, the oppressed, the sick and the persecuted is a valid expression of Christ's message, and we have no complaints whatever about that approach while it remains within the religious sphere. But Liberation Theology was inspired by materialist Marxist theory and praxis, and then strayed into the political realm. The Soviet Union was responsible for the spread of the view that oppression can be attributed largely to economics and materialism, or to imperialism and colonialism, and to a fixation on Israel as the chief bearer of that original sin. The application of such terms to Israel is historically and conceptually incorrect: Israel has no colonies, is not the seat of an empire, and has from its inception advocated a two-state arrangement as predicated in the 1947 UN partition plan. But many Christians now view Israel through a false and distorted lens. This view is simply a matter of political bias, a bias exacerbated (as elsewhere), not only by a refusal to admit Israel's stunning human rights record for women, religious minorities, ethnic communities, and LGBT citizens, but also by a notable failure to hold sessions on regimes that genuinely oppress, persecute, torture and deny full rights to their citizens. 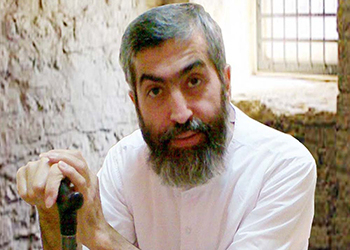 Why, for example, do Christians animated by zeal for the oppressed never hold meetings to uphold the rights of Iran's large Baha'i community, whose members are hanged, tortured, imprisoned, and denied all civil rights and access to higher education, and whose holy places and cemeteries have been bulldozed in an ISIS-style desecration? Why do they meet only to condemn Israel, the only country in the Middle East to celebrate the Baha'i presence and to protect the important Baha'i World Center in Haifa and the two most important Baha'i shrines, visited by pilgrims from around the world? Surely this obsession with an open and democratic country, alongside their apparent indifference to the human rights abuses of Iran, Saudi Arabia, Syria, Sudan, North Korea and others, is a clear distortion of the Christian vision and the underlying ideals of a non-politicized gospel of liberation. Dr. Denis MacEoin has lectured and written about the Middle East since the 1980s. This point has been argued coherently by many experts in international law. See, for example, Alan Baker, "Israel's Rights Regarding Territories and the Settlements in the Eyes of the International Community", in Israel's Rights as a Nation-State in International Diplomacy. As before, your articles, Dr MacEoin, set the record straight from the vicious bile which is spouted from a so-called religious institution. I can't describe it as a church. I think that one of the reasons apart from using Jews as scapegoats for their problems is that they probably identify with fake "Palestinians" who are HOSTILE AND AGGRESSIVE LOSERS LIKE THEMSELVES not honest losers such as yrians in the hands of their govt. or Iraqis or Nigerians etc. who are LOSERS such as the Christian left but not hostile, aggressive and imperialists such as the "Palestinians" and the communists. There is a big difference between both types of LOSERS. These are not real Christians. After all, if there were never any Jews in Israel, who was Jesus Christ? Was he not a Jew? Please understand that just because someone says they are a Christian or believer does not make them so. In the United states, 90% of the self proclaimed Christians admit to having never read the Bible, cover to cover, even one time. Claiming a relationship with Jesus or anyone else that you have never spent time with is delusional at best. As a Christian we recognize the Bible as the inerrant word of God. You cannot know God's heart or will if you've never spent time learning it. In 1 John 4 we are told to "not believe every spirit, but test the spirits, whether they are of God, because many false profits have gone into the world." In Genesis Abraham was told that those who bless Israel will be blessed and those who curse her, He will curse. Anyone stating a hatred towards Israel and or the Jewish people is by extension expressing their hatred of Jesus and God the Father. You cannot separate Jesus from His ancestral ties to the line of David and the Jewish people. Let's not forget that Jesus's brother James reminded us that it is good that you believe, for even the demons believe and tremble at the name of God. Christians who condemn the Jews and Israel are a bigger threat to Christianity than the Muslims. In actual fact, I don't think they are Christians. Christians who deny that the gifts and call of God to the nation of Israel are irrevocable are Marcionite heretics. I cannot rationalize the ideology of those who represent the views of the St. Thomas Church of Tyne, UK. How can these people be so terribly myopic when, in fact, without the presence of Jews, upon which the Muslim Koran projects its hate, the next group that Islam wants to terminate en mass, are the Christians. When Islam teaches its hate for Jews, it also includes "infidels, non-believers" and that means Christians. Surely, the leaders of the St.Thomas impetus against Jews must be blind to the fact that Islam's intention is to rule this earth, and to do so, its major target is certainly Christianity, even more than a distinct minority which the Jews are. For that matter, it also means "all infidels," therefore Hindus and Buddhists are also "infidels" to Islam. The truth is, we who are not Muslims must beware of Islam's intentions for conquest of all in its path. Always a pleasure to read one of Dr. MacEoin posts. Dr. MaEoin has, as it were, addressed the presence of an elephant in the room. What the struggle over the existence of Israel has brought out in the open is that there is a corresponding battle for the heart of Christians. One side argues for reconciliation with Jews and Judaism and support for Israel...the other side argues that God has dispossessed and cursed the Jews and Judaism and that Israel is an illegitimate state. Both sides call themselves Christians. There is no compromise in this battle...every Christian must take a side. And every one of us who is not Christian must also take a side -- who we will we stand with, and who will we stand against. In our answer to this fundamental question are colossal consequences for the future of Western society, and beyond us, for the future of human existence on the planet. God bless and protect Denis MacEoin for his insights and unabashed courage to publish his remarks at the risk of some Islamic jihadist or radical Palestinian seeking revenge. MacEoin poses interesting challenges to any thinking person about the consequences of Arab boycotts of Israeli technology and responses to disasters. The language of Hebrew fits into the languages of the Middle East like a hand fits into a glove. It pre-dates Aramaic and Arabic. Where DID the Jews then, dear Palestinians, get this language from ? Much as Palestinians and Jew-haters want to portray Jews returning to the Land of Israel as colonisers, they are NOT. They are re-colonisers. The emphasis is very much on the particle "re" ! For shining a light on this utterly shameful putrefying corruption, the tentacles of which need to be destroyed so that peace may have a chance. My hopes are not high! Many of these churches left true Christianity behind centuries ago. They have become what Revelation 3 calls the Church of Laodicea. It would be a good thing for all Christian churches to read that chapter again and do a serious self-analysis. However chances are that believing that they are OK they will still think that they have no need of anything. Even Jesus is outside knocking on their door and wishing that someone would hear and open the door so that he may come in and have a personal relationship. In the meantime blindness, the need for eye salve continues and they support evil. ...spiritually, the Laodiceans were in a wretched, pitiful condition, made all the worse in that they could not see their need. This was a church filled with self-deceived hypocrites.